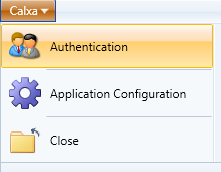 There are two main setup options for working with Calxa and multiple accounting files. 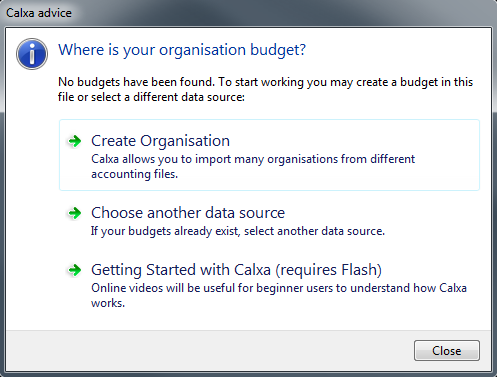 Each accounting file will be represented in Calxa by an organisation. 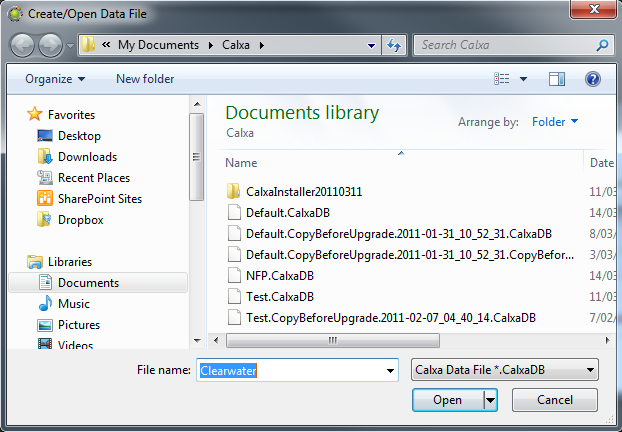 You can create multiple organisations within the one Calxa datafile or create a separate datafile for each organisation. Your user requirements and permissions will determine which is the best solution. Use the following help notes as guides for copying or creating your organisation data. Repeat from Step 2 for each accounting file. Each organisation will be listed as shown below. Use the following support notes as guides for copying or creating your organisation data. Repeat from Step 1 for each accounting file. To reconnect to an existing datafile, navigate and select the appropriate datafile at Step 3.